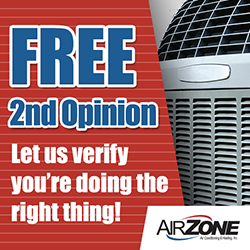 If you’re looking affordable Safety Harbor AC repair and heating services, contact Air Zone Air Conditioning & Heating. Our skilled team is ready to help. We have over 30 years of knowledge and training to provide you with reliable service – even when there is an emergency. Contact us 24-hours a day to get the help you need without the wait. We know keeping indoor climate under control is vital for ensuring comfortability in Florida. Whether in a home or business, your guests enjoy rooms with a pleasant temperature and your air conditioner and heater help create this type of atmosphere, so when they malfunction it can be a serious problem. Safety Harbor AC Repair Available 24 Hours A Day! It can be very frustrating when you experience a problem with your air conditioner. Maybe it’s not running as well as it used to be, or maybe it is making odd noises. In either case, we advise getting these issues checked as soon as possible. Leaving it can allow the problem to grow worse, and result in a more expensive repair being necessary. Even if these problems seem to be minimal and do not compromise the entire unit, it is highly recommended your seek repair services right away. Have a problem with your air conditioner or heater during the night or over the weekend? No problem – our courteous and skilled team is ready to assist you no matter when your problem occurs. When you need help in Safety Harbor, contact us! 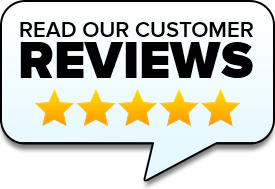 Why Choose Air Zone Air Conditioning & Heating? From our skilled team members who receive regular training to the high-quality equipment we use, our organization has taken multiple steps to show our commitment to delivering the best results for our customers. We are proud to serve both residential and commercial customers in Hillsborough, Pinellas, Pasco, Polk, and Hernando County. With 30 years of experience handling a variety of needs related to air conditioners and heaters, we are a trusted company in this industry. Our specialties in air conditioning repair, air conditioning services, heater repair, and heating services makes us a company you can rely on for various types of needs. To find out more about getting Safety Harbor AC repair and heating services, contact Air Zone Air Conditioning & Heating today!